Comments: Has oval shaped leaves that lie almost flat on the ground or just a few inches above ground. The leaves have intricate patterns in colors of burgundy and bronze. 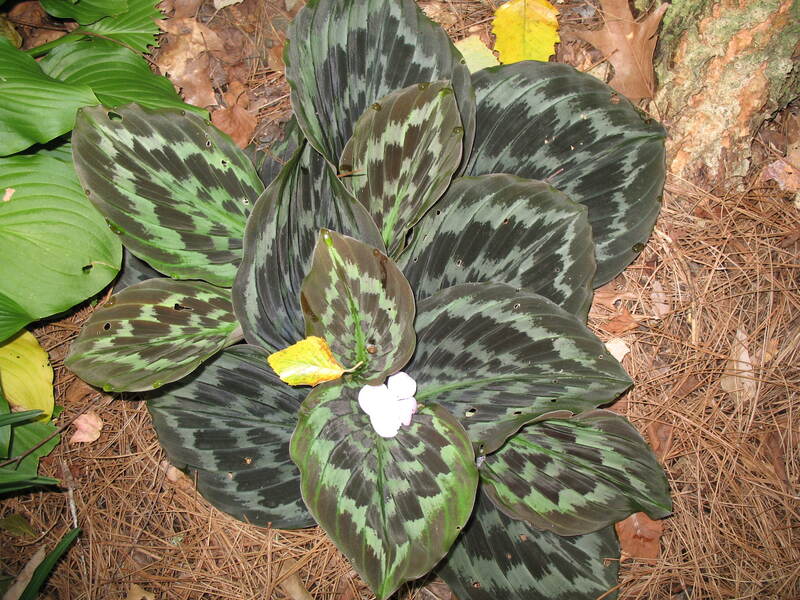 Is a good selection for a ground cover in small, shady, and moist locations.